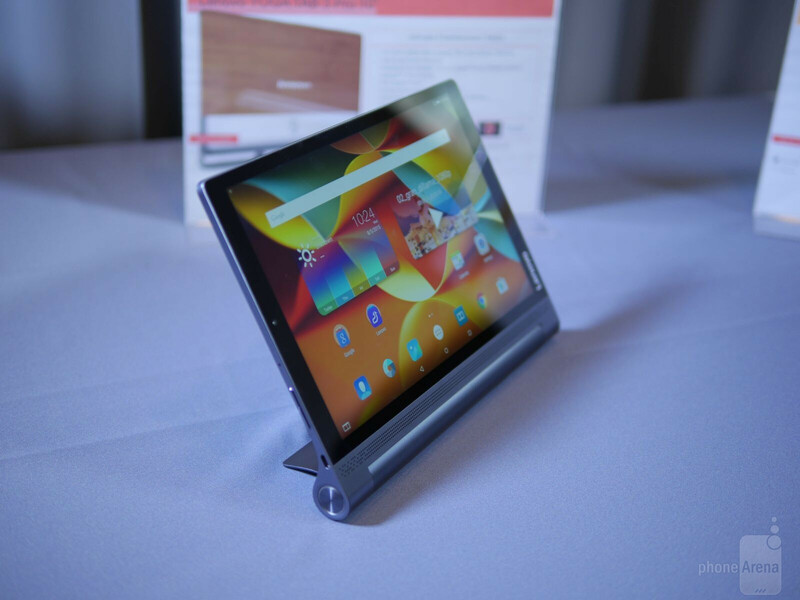 Last year, we saw the introduction of a newer, more premium model in Lenovo’s YOGA tablet series. 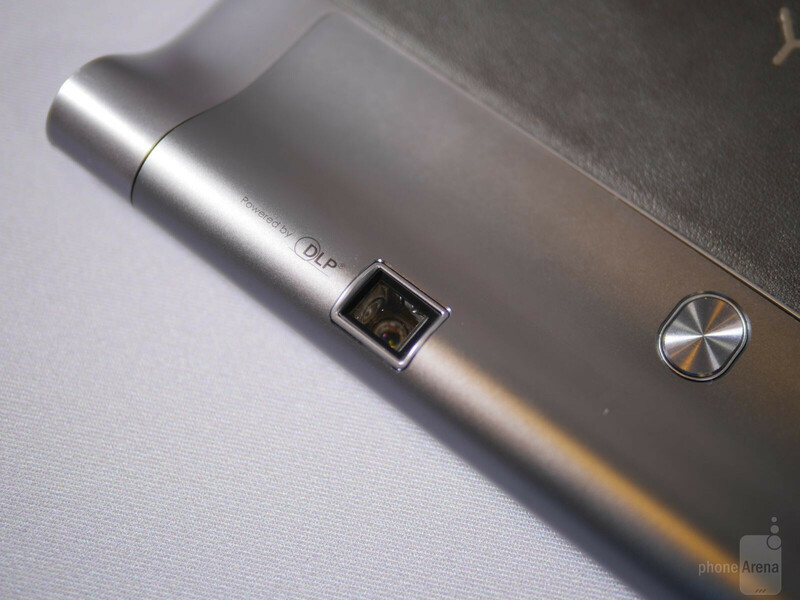 Sporting a monstrous sized 13.3-inch display, the Lenovo YOGA Tablet 2 Pro undoubtedly made sure that it wasn’t going to be missed – not only because of its rock solid specs sheet, but also for its inclusion of a pico-projector. For its third iteration, however, Lenovo has opted to go with a more fitting size, while also making some design changes with its latest offering in the Lenovo YOGA Tab 3 Pro. Obviously, there’s the size difference between this and last year’s model. We’re gladly accepting of its easier handling, which is thanks in part to its smaller 10.1-inch screen. Despite that, it continues to employ the same distinctive design language that makes the series recognizable in the tablet space by leveraging its versatility on its adjustable hinge. Of course, the 10-inch size of the Lenovo YOGA Tab 3 Pro makes it great for multimedia consumption, thanks to how the cylindrical hinge allows it to be propped in all sorts of configurations for a hands-free viewing experience. For the most part, the design is unchanged with the exception of how the casing now exhibits a hint of premium with its aluminum frame and leather-like fabric back – giving it a grippier feel, which also helps to keep it clean looking and smudge-free. And while it shares the same design language as its other YOGA Tab 3 siblings, this one undoubtedly gets more attention and love with its construction. What’s new, though, is the repositioning of the pico-projector. Now it’s embedded into the cylindrical hinge to allow us more control of adjusting its view. Lenovo claims that it’s able to project up to a 70-inch size, which it did in our quick look at it. However, you’ll really need to use it under dim lighting conditions because its maximum brightness output is still challenged by ambient lighting. Nevertheless, it’s going to be pretty cool watching a video on a ceiling in your bedroom. Slimming things down to a 10.1-inch screen, whereas before, it was a 13.3-inch one, Lenovo has kept the resolution to 2560 x 1600 Quad-HD. This, of course, gives the IPS-LCD based screen an incredible amount of detail. The fun doesn’t stop there either because there’s a considerable amount of luminance and iridescence produced by the display, resulting in colors that have a lively and vibrant reproduction. It looks good, seriously! Finally, Lenovo decided to bring back the apps panel with its custom interface running on top of Android 5.0 Lollipop. This is a minor change that we appreciate, because the homescreen doesn’t look as disorganized as before. Beyond that, Lenovo’s tinkering is pretty subtle, which is a good thing partly because it’s a simple and straightforward experience that doesn’t try to overwhelm us with a bunch of features and tools. At the very least, we get basic Android functionality with the experience. They’ve added some useful functions that relate to the pico-projector – such as turning it on and adjusting some of its settings to make it more suitable for viewing. Unlike its siblings, the YOGA Tab 3 Pro is blessed with a more resounding processing hardware inside of its body. To be exact, it’s powered by a quad-core 2.4GHz Intel Atom Z8500 chipset with 2GB of RAM. This particular combination gives it more punch and snappiness than its two other siblings, so basic tasks will be no issue at all for this one. Considering how much Quad-HD resolution is sometimes taxing when it comes to graphics processing, it’ll be interesting to see how this one handles that. Strangely, the YOGA Tab 3 Pro doesn’t get treated to the single, rotatable camera implementation used by the 8-inch and 10-inch models. 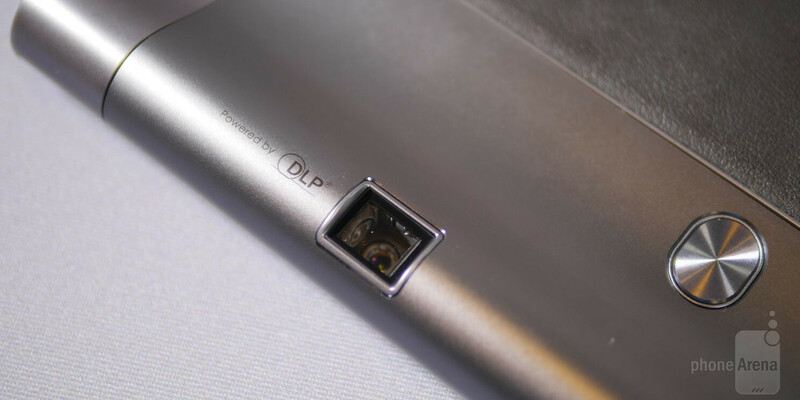 Rather, it features a 13-megapixel rear camera and 5-megapixel front camera combination. We’re not particularly upset by this, seeing that it’s the norm we’re used to having with all devices. Shutterbugs will be able to take some pretty interesting shots by utilizing the timer and its various YOGA poses. For example, you can hang the tablet off something by using the kickstand and then set the timer to take a shot – so there’s an array of angles to go with using this one. 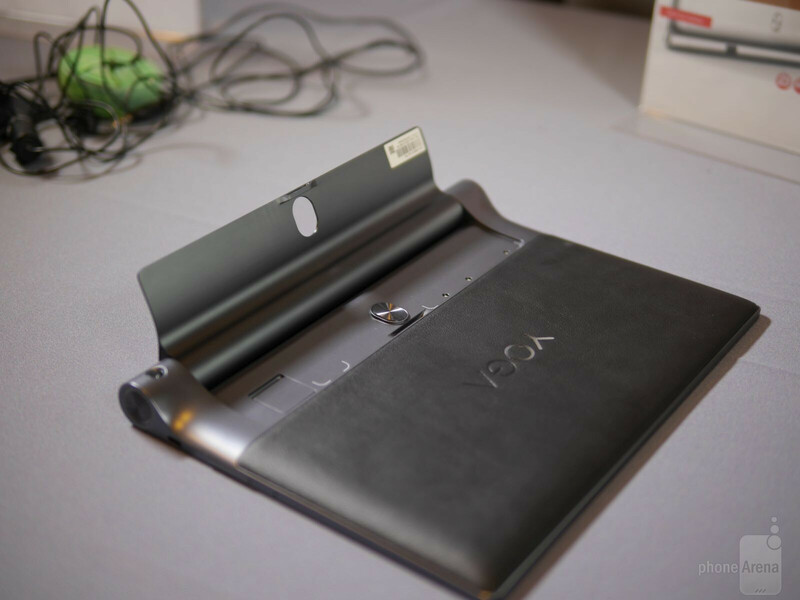 It’s not every day that you find a pico-projector incorporated into a tablet, so the Lenovo YOGA Tab 3 Pro undoubtedly will get some stark looks as its projector fires up and plays something on a wall. Already boasting a base set of functionality on its own, this adds to its already established set of features and arsenal. Throw in its $500 starting cost when it goes on sale starting in November, some people will find a lot of value in what it has to offer. From its unique design, to its admirable specs sheet, and the usefulness of a projector, the Lenovo YOGA Tab 3 Pro is an undisputed multimedia champ that’s reasonably priced to sell. What a waste of hardware, this thing would be more useful with Windows 10 on it. What will be the max resolution of that 70 inch projected videos ?